With the combination of Vinpearl’s 5-star services and the new technology, visitors will enjoy three unprecedented experiences: check-in for the whole family at the same time, passing through automatic gates and using personal privileges with the highest privacy. The features of this technology help visitors minimise the waiting time for procedures and the process of moving between Vinpearl's internal areas. In particular, when using privileged services in buffet restaurants and private games areas ... visitors do not need to bring their room cards. The identification of customer benefits will be done through personal identification technology to bring maximum convenience. 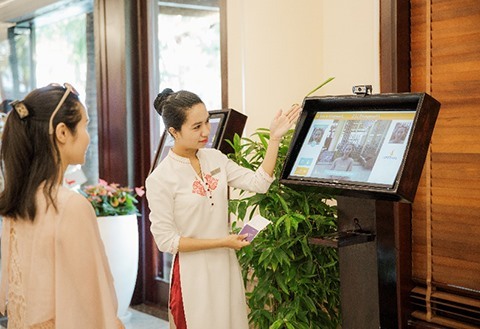 Being the first resort, hotel and entertainment system in Vietnam to apply AI in operation and management, Vinpearl has created a breakthrough for the country’s tourism and hotel industry. The application is under its digital transformation strategy to bring the best experience to customers, affirming its leading brand position in Vietnam’s tourism industry and welcoming global trends. Vinpearl Nha Trang:was the first resort with the Vinpearl brand name which went into operation in 2003. It has 1,362 hotel rooms, 735 villas, 84 sea-view villas, more than 100 entertainment areas, a golf course, a series of diversified theme parks and cuisines from five continents…Vinpearl Nha Trang is the biggest resort, tourism and entertainment complex in Vietnam. It is also one of Vipearl's three biggest complexes with Phú Quốc and Đà Nẵng – Hội An. 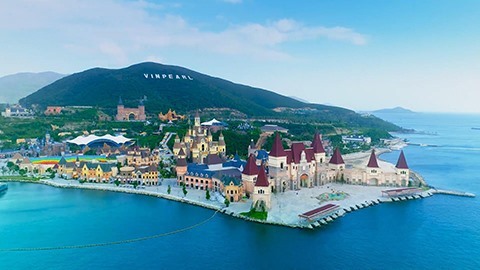 Vinpearl has five resort brands: Vinpearl Luxury, Vinpearl Resort, Vinpearl Hotel, Vinpearl Discovery, VinOasis; three entertainment brands including Vinpearl Land, Vinpearl Safari and Vinpearl Golf; two spa brands names including Vincharm and Akoya, one MICE brand of Vinpearl Convention Center, one Vinpearl Theatre brand and culinary brand Almaz. Currently, Vinpearl has 43 resort and hotel complexes with a capacity of around 17,000 hotel and villa rooms at 17 famous tourism sites across Vietnam. Face Recognition: is a technology that allows identification and authentication of personal identities based on face anthropology. This technology works by comparing a digital image or video frame with a face stored in a database; find and connect facial features and some other biometric factors to show if the results match.